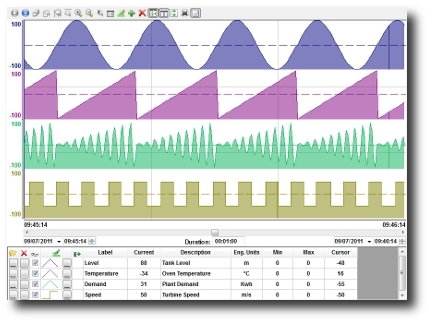 SoftPLC Web Studio is powerful supervisory control and data acquisition software that includes all the building blocks for even the largest plant or corporate-wide systems, yet is priced to make it practical for even small, operator interface (HMI) applications. 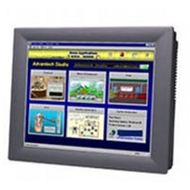 The same development software is used to create runtime applications to run on our panel PC HMI's or to run on your own Windows compatible hardware systems, from mobile/phones to desktop or Windows Server systems. SoftPLC's SSH-x range of operator interfaces (HMI's) are rugged graphic operator interfaces with a high resolution touchscreen display, and the Software Web Studio runtime software pre-installed. All units include ethernet, serial, and USB ports and removable flash memory. Shallow depth, fanless design, and industrial packaging make these HMI's suitable for a wide range of applications ranging from simple machine controls to complete SCADA systems, in industries such as packaging, utilities, HVAC, discrete manufacturing, batch/continuous processing, and many more. Unlike proprietary hardware design HMI's, the SSH-x systems are open architecture (PC based) which gives users flexibility, expandability, and affordability. Import Tools for PanelBuilder/PanelMate are powerful and innovative add-ons for SoftPLC Web Studio™, which can dramatically reduce the cost and hassle of modernizing the automation system in your facility. Using these tools, you can convert your old and proprietary system based on PanelView™/PanelMate™ stations into an open and flexible architecture, which will continue to evolve with the latest technology. SoftPLC's Import Tools automatically convert applications from PanelBuilder32 or the PanelMate software to Web Studio. After converting the application, you can run it on any Web Studio HMI or Windows computer.